You are here: Home / Health / The Protein Factor: Six Risks to Using Too Much Protein. The Protein Factor: Six Risks to Using Too Much Protein. (ThyBlackMan.com) Protein is a natural building block of the body. Overall, protein is good for healthy living. The fact is no living tissue in our bodies would be able to regenerate without protein. Even your hair and nails need sufficient amounts to replenish and sustain its vibrant qualities. But is too much protein bad for you? The answer, based on studies, is yes. There are times when the body may react negatively to too much protein in its system. Here’s the reason: protein is a macro nutrient that is designed for its excesses to be flushed from the body. In other words, our bodies use the nutrients in protein for sustenance of body tissue and excrete the protein it no longer needs. When that excretion does not happen, it can cause problems. The answer is to use the recommended amount of daily protein based on your fitness level, activity and goals. Here are six risks to using too much protein. Kidney damage can happen when too much protein remains in the body. This is moreso for people who are already at high risk for kidney damage, than not. Again, if your body does not flush out excess protein, it could cause issues down the road. 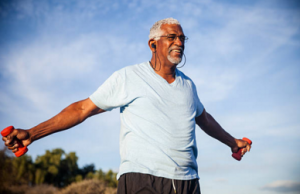 So if you have a history of renal failure or problems with kidneys in general, consult with a doctor if you plan to begin an exercise regimen that requires increased kidney ingestion. Another risk associated with too much protein is the use of water in relation to ingestion. This is the most common side effect of over consumption of protein. If you ingest protein regularly, make sure you are drinking at least three to six liters of water daily. This helps to flush out the excess protein from your system. This happens all too often among people who work out regularly and those who do not – but use protein as a dietary supplement for a sedentary lifestyle (i.e. they do workout but drink protein shakes in lieu of actual cooked meals). Cook well-rounded, protein-based meals and do not rely on protein shakes alone. When protein is consumed along with too many calories, the excess protein is stored as fat. Stored fat means stubborn weight loss. This leads to frustration in many because they feel they’re losing ground in getting healthy. Adding to the likelihood of gaining weight, too much protein may cause constipation. The reason? Just as too much protein along with excess calories can lead to weight gain, too little fiber with increased protein can ultimately lead to bowel restriction. The answer is to increase fiber. A protein and fiber-based diet is a major factor in alleviating constipation. One reason excess protein is bad for you is because if your body does not excrete protein in the manner it’s supposed to, it could lead to problems down the road. This happens often when protein is not consumed with enough water. Ultimately, this can lead to dehydration, especially for athletes or those who play sports recreationally. As noted previously, drink as much water as you consume protein, especially if you have a very active lifestyle. Protein is good for healthy living. This talented brother is a holistic lifestyle exercise expert and founder and executive coach of Infinite Strategies LLC, a multi-level coaching firm that develops and executes strategies for fitness training, youth achievement and lifestyle management. Eric is an author, fitness professional, holistic life coach and motivational speaker. In October 2015, Eric released Life’s A Gym: Seven Fitness Principles to Get the Best of Both, which shows readers how to use exercise to attract a feeling of wellness, success and freedom (Infinite Strategies Coaching LLC, 2015) – http://www.infinitestrategiescoaching.com. Get Awesome Weight Loss Method Here.